Cessna Decosimo and Daniel Lindley are at church on a Tuesday afternoon in Chattanooga, Tennessee. Lindley, a celebrated chef who has opened three restaurants in town, is smoking and sketching in his notebook. Decosimo, an artist and sculptor, is talking art and religion and the latter&apos;s loosening grip on the city. "It&apos;s historically a very puritanical community, and spending money on the arts — especially elaborately — was frowned upon," says Decosimo. "New blood here is helping to change that." Tucked into the Tennessee River Valley, Chattanooga is ringed by jagged ridges and sheer gorges. Lindley, 39, grew up on one of those framing ridges, Lookout Mountain, 1,700 feet above town. He&apos;s spent the last few years turning an old Methodist Episcopal Zion church, where we&apos;re lounging, into his eccentric, art-filled home. In place of a baptismal font, there&apos;s an indoor pool. Decosimo, whose bronze figures decorate many street corners in the city — and Lindley&apos;s living room — was raised on Signal Mountain, one of Chattanooga&apos;s other major perches. Each has lived in some of the world&apos;s great creative centers — New York, Italy, France — but Chattanooga, population 177,000, is the place to which they both eventually returned, to make food and art where steel and smog once reigned. "This town was a blank canvas when we arrived back here," says Lindley. "It was full of opportunity that&apos;s being fulfilled now in kitchens, art studios, and the outdoors." It&apos;s remarkable considering that just 20 years ago the city was basically an industrial wasteland. "It was block after block of nothing," he says. The &apos;90s brought a revamped riverfront spurred on by the addition of the Tennessee Aquarium, one of the world&apos;s largest freshwater aquariums, and the reopening of the 100-year-old Walnut Street Bridge to pedestrians. A city that for decades put its faith in heavy industry is now, thanks to a coalition of progressive leaders, turning to art and the outdoors, and the result is an adventure hub unlike any other in the South or West: a less touristy version of Asheville, North Carolina, or a cheaper Boulder, Colorado — with a lot more diversity. Here&apos;s how to make it your own. Chattanooga is surrounded by recreation-heavy public lands, like Prentice Cooper State Forest: 25,000 acres of oak and hemlock trees with 119 miles of trails — all along a gorge known as the "Grand Canyon of the Tennessee." And just 30 minutes away is Raccoon Mountain, home to some of the best mountain biking in the South: more than 30 miles of intermediate to advanced singletrack. When my girlfriend and I went, a portly park ranger named Gary turned to us and warned, "I don&apos;t want to scare you or nothing, but this place is pretty much the same as when the Indians left. So watch out for rattlesnakes, copperheads, things like that." But, he insisted, "you&apos;ll have a good time!" Indeed we did, on two black-diamond-rated trails called Live Wire I and II, tight turns sprinkled with rocky ledges and jumps. Coming around a bend later, on the blue-rated, switchbacked Small Intestine trail, a clearing in the trees revealed a wide-open view of the Tennessee River, the only large canyon beside a city in the southeast. Eating is a sacrament in the South, and there are few better places to do it than Chatty, as residents call their town. Lindley&apos;s spectacular Italian eatery, Alleia, was recognized as a semifinalist for a James Beard award, as was Main Street Meats, an upscale comfort-food joint rightly extolled by the director of the Southern Foodways Alliance as a "carnivore&apos;s nirvana." But plenty of local institutions still hark back to Chattanooga&apos;s grittier past, like Lamar&apos;s, a restaurant and bar that&apos;s been chugging along for more than 50 years. Today Lamar&apos;s is where you&apos;ll find Chattanooga&apos;s old-timers mixing with kids from the nearby University of Tennessee, all colors and creeds listening to Clarence Carter or Bessie Smith (who grew up in town) on the jukebox. The setting is weird, but in a wholly uncontrived way: It&apos;s a dark, wood, and velvet-wallpapered room with a combination of Christmas and Halloween decorations up all year. Gerald, the bartender, came to our table on a quiet night and, since there&apos;s no drink list, asked what we usually like to sip. "Strong? Sweet?" Then he made us gin martinis. Back at our polished hostel, the Crash Pad, we had a neat, private room. Started by climbing-obsessives in their late twenties, it&apos;s the rare accommodation where you get more than you pay for, including the best climbing advice in town. 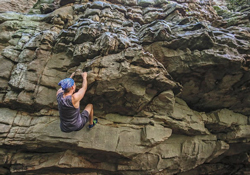 (Go to Little Rock City, a world-class bouldering spot on the Cumberland Plateau, 30 minutes from downtown.) When it opened five years ago, the Crash Pad helped anchor the renaissance of Chatty&apos;s Southside, where you can now find a bike shop (Cycle Sport Concepts), a bike-themed hipster coffee shop (Velo), and the best breakfast in the city (Bluegrass Grill&apos;s "glorious grits"). Cars aren&apos;t necessary here. "I was laughing," said a Crash Pad employee named Corey, "when I realized I could ride my bike across Chatty in 20 minutes." His climbing weekend here three years ago turned into a permanent relocation — a not uncommon story. Chattanooga&apos;s most unavoidable tourist magnet is its incline railway, "America&apos;s most amazing mile," which ascends to the top of Lookout Mountain, considered the city&apos;s best view. (It&apos;s also home to the largest hang-gliding school in the country.) But unlike everyone else aboard the train, we decided to run down from the summit&apos;s Point Park via a series of switchbacked trails, through hardwood forest and Civil War memorials, some five miles to the bottom. Back in town, we jogged over to Main Terrain Art Park, one of the city&apos;s newest, and certainly strangest, developments: a neo-Chattanoogan amalgam of public art that doubles as fitness equipment in a storm-water-overflow area. Opened in 2013, the two-acre park connects many of the downtown neighborhoods that have experienced shocking transformations in recent years. After a few dips among the abstract sculptures, we hiked over to Hutton & Smith Brewery, where the beers all have jokey geological or climbing names, like Belayer&apos;s Blonde. The fellas pouring beer, we found, are more than happy to tell you where to climb when the buzz wears off. For a clearer picture of how dramatically the city has changed in the last two decades, walk around downtown. Crossing the Walnut Street Bridge shortly after dawn, we watched rowers make long, drawling arcs on the Tennessee. 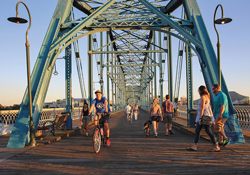 The Walnut is a place that references both Chattanooga&apos;s past — the bridge once connected the white and black parts of town — and its future: walkability, connectivity. 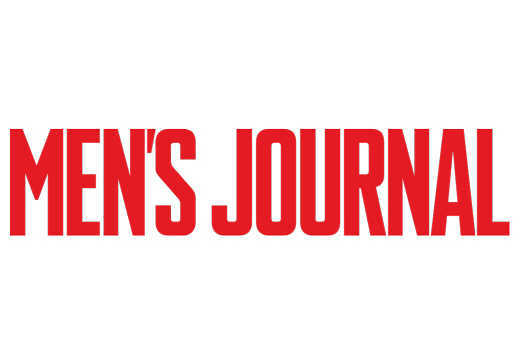 Couples jogged by; a commuting businessman zoomed past on a Segway. A few weeks earlier, swimmers in the Ironman Chattanooga had passed by here. The event was clear evidence of how far the city has come toward shedding its industrial heritage and embracing a progressive, outdoors-focused future. But there&apos;s no mistaking this is still the South. The race&apos;s main sponsor: Little Debbie. Where to Stay: You can sleep in an old Pullman train car with a deluxe bath at the famous Choo Choo Hotel, a former beaux arts–style railroad station (from $150; choochoo.com). Employees at the Crash Pad, an upscale hostel, are certified experts on climbing and just about everything else you&apos;d want to do outdoors ($85 for a private room and bath; crashpadchattanooga.com). Where to Eat: For an open-kitchen, rustic-Italian experience in one of Chattanooga&apos;s beautiful old brick buildings, Alleia offers hand-dipped ricotta bruschetta with truffle honey and a great prosciutto pizza. Main Street Meats, a former butcher shop, serves up one of the best burgers in the southeast, plenty of surprisingly good veggie options, and killer lemon-lavender cake. 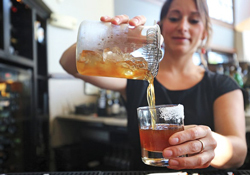 The Flying Squirrel Bar offers small plates (shoyu ramen) and quirky cocktails (She Still Thinks I Carrot) for the younger, late-night crowd. 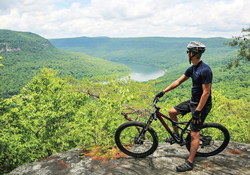 What to Do: Head over to the Southside&apos;s Cycle Sport Concepts for high-end mountain bike rentals ($60 per day) and trail beta, then drive a short ways to Raccoon Mountain, where nearly 30 miles of intermediate and advanced singletrack await. 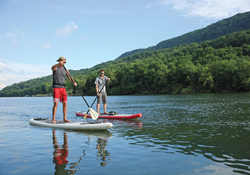 For a unique view of downtown, stop by L2 Outside to rent a standup paddleboard (from $30 per hour), and take it out on the Tennessee River — it&apos;s just a mile upriver to Audubon Island, a 19-acre wildlife sanctuary only minutes from the heart of the city.